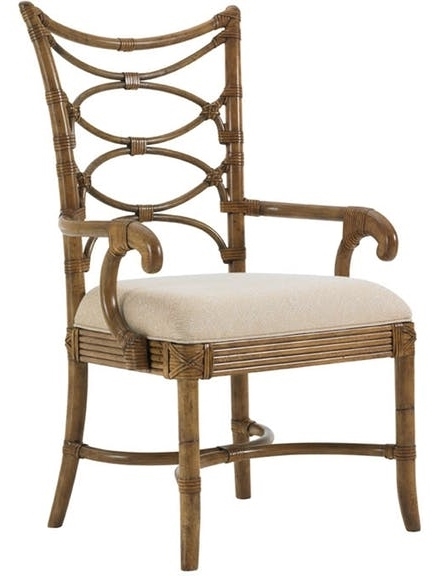 Graceful interlocking ring pattern in leather-wrapped bent rattan will entice your dinner guests to linger. This elegant and casual piece will add a bit of the tropic to your home. 25¼W x 23½D x 40¾H in.